My Jewish Year is an invaluable text for understanding how contemporary people work to find personal meaning in inherited traditions. My Jewish Year is an amusing, intelligent, and often incandescent approach to modern religious practice. Abigail Pogrebin, like many American Jews, came toward her religious tradition gradually. Her family celebrated the major holidays liberally when she was growing up—picture Gloria Steinem tap-dancing at a Passover seder—but she didn’t personally connect to religious practice until much later, following a project on Jewish-American life and after becoming bat mitzvah at forty. With My Jewish Year, she goes farther than synagogue membership and a Hanukkah plan, exploring eighteen holidays on the Jewish calendar, from the jewel of Shabbat to the lesser-known holidays of Shemini Atzeret and the fast of Esther on Purim. Her approach is curious, intersectional, and respectful, drawing knowledge from rabbinical luminaries and personal friends, from Rabbi David Wolpe to Blu Greenberg. So Pogrebin “sukkah-surfs” across Los Angeles, donates clothing as tashlich, sits behind a gendered partition in services, and reads the founding documents of the State of Israel to her accommodating children; she visits a mikvah ahead of the new year, and recreates the feminist seders of her mother’s day. She remains open throughout, insatiably learning, and then teaching, about traditions in an approachable and thorough way. She is sometimes awed, and sometimes unswayed, but constant throughout is her sense that the experience is a gift. “I was missing primal Judaism,” Pogrebin says of a particularly moving experience; her desire to connect more meaningfully to an ancient and learned tradition is infectious, and audiences are likely to find much here to replicate. 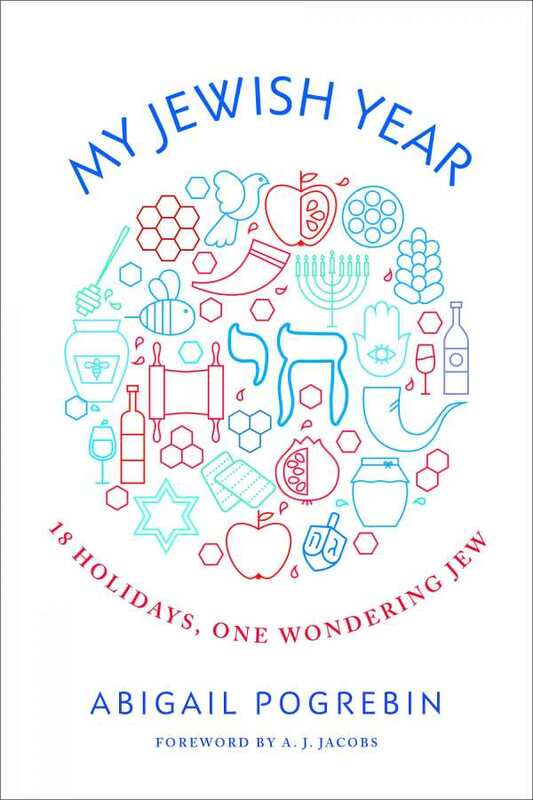 My Jewish Year is an invaluable text, both for learning about Jewish holidays and for understanding how contemporary people work to find personal meaning in inherited traditions.